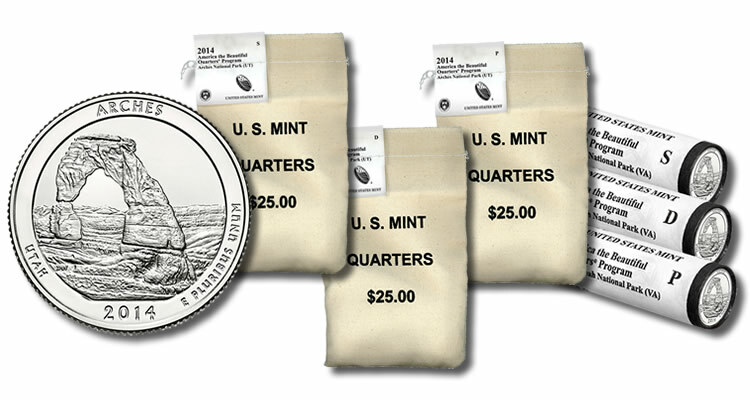 On Monday, June 9, 2014, the United States Mint will make available bags and rolls of circulation quality Arches Quarters. 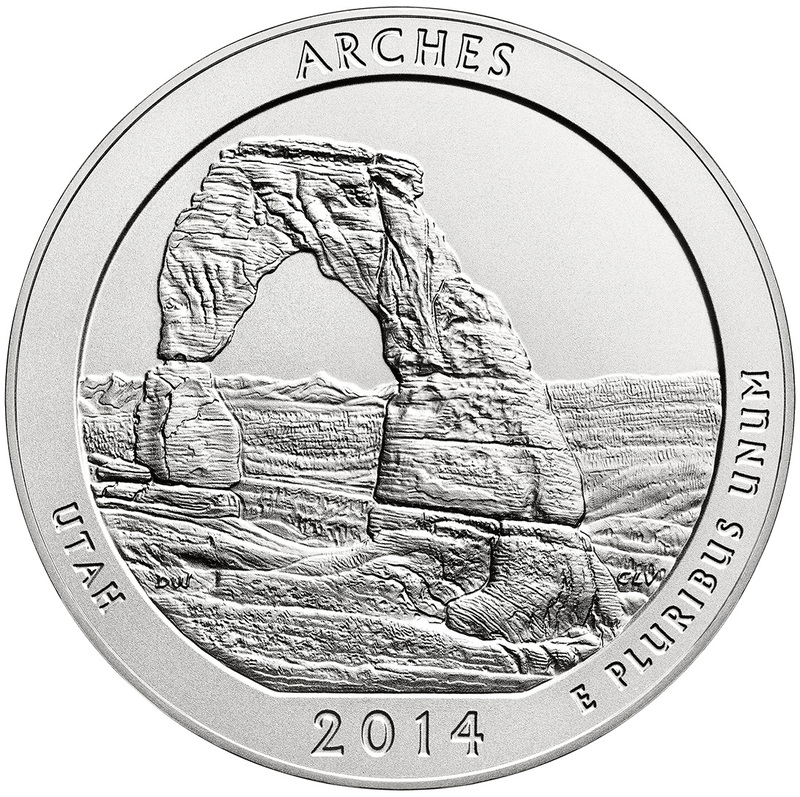 The Arches Quarter represents the twenty-third issue of the U.S. Mint's America the Beautiful Quarters® Program. 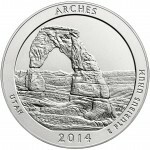 On Thursday, June 12th, U.S. Mint customers may order the Arches Five Ounce Silver Uncirculated Coin for $154.95. This coin is issued as the newest strike of the Mint's America the Beautiful Five Ounce Silver Uncirculated Coin™ Program. 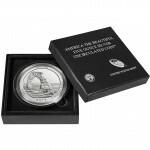 Each is composed of five ounces of .999 fine silver with a diameter of three inches. 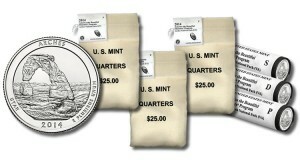 Mintage for the coin is limited to 30,000.